Jalousie windows are a classic feature of mid-century modern homes, and during the height of their popularity, they offered a number of benefits over standard windows. As more homes were equipped with modern heating and cooling, though, some of these benefits became disadvantages. Nowadays, jalousies are largely restricted to spaces without air conditioning. Jalousie windows, also known as louvered windows, consist of horizontal glass, plastic, metal or wood panels on a track in a window frame. 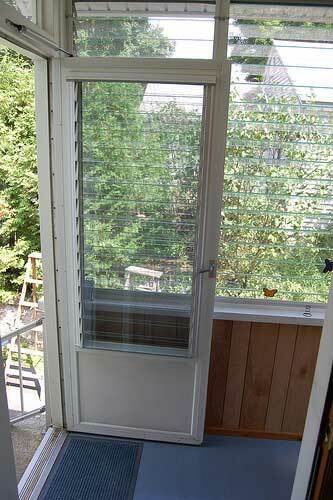 Using a crack or knob operator, the panels can be opened and closed like the slats of Venetian blinds. Although first patented in 1901, it wasn’t until well into the 1940s that these windows really took off. Between that time and the late 1960s, they became a common sight in the south where summertime ventilation is critical, and winters are mild. In colder climates, they appeared on enclosed porches, gazebos, and sunrooms. They were also commonly found on mobile homes. 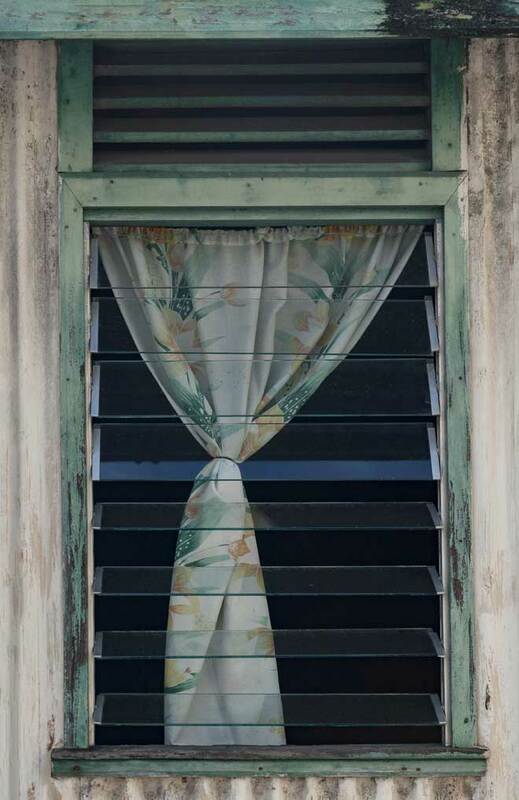 By the 1970s, more homes had some form of electric air conditioning, and these breezy windows turned into a liability because they waste air conditioned indoor air. When the 1973 energy crisis hit, and cooling prices rose, the popularity of jalousie windows fell into sharp decline. Although not as popular as they once were, jalousie windows are still a practical way to enjoy airflow and privacy together. Jalousie windows are most often used in warm climates because they provide ventilation while keeping the sun and rain out. Even when fully open, the angle of the panels deflects sunlight and rain, and slows down airflow to keep things in the room from blowing around. Adjusting the panels lets you direct the airflow and sunlight that enters. In hot, humid climates before air conditioning became prevalent, these cooling breezes were essential for comfort. While jalousie windows aren’t as useful in homes with A/C, they’re still helpful on enclosed porches and other spaces without cooling. With the jalousies open, you can enjoy some fresh air without getting rained on and read a book without glare and wind interfering. Jalousie windows let you have the window almost completely open for ventilation while still obscuring the view into the room. When the panels are angled down, air can still enter from beneath, and you can still see out, but passers-by can’t see in. This is one reason this type of window is so often used in bathrooms. On the other hand, you can still get a completely unobstructed, albeit less private, view by fully opening the panels. If you decide your jalousie window no longer suits your needs or your home’s aesthetics, you can change the window’s whole look just by replacing the panels. Switch from clear glass panels to frosted or tinted ones for more privacy and better light control. Go for aluminum panels if you want the option to block the light entirely. Upgrade to wood panels for a customized, high-end look or for windows that blend in better with your new wood siding. In addition to their inefficiency, jalousie windows also tempt burglars and require more upkeep than standard windows. While these windows are great for temperature and humidity control in an unair-conditioned home, once you have air conditioning, they become a major cause of energy waste. The window panels never close completely enough to form a tight seal, so they leak air. Your cool air conditioned air escapes while hot, humid outdoor air comes in. Your A/C then has to work harder to keep you cool. In winter, jalousies cause chilly drafts. Modern versions are manufactured with better air sealing than older models, but even then, they’re among the least efficient window designs available. If your home doesn’t have air conditioning or you prefer natural ventilation, jalousie windows might still be a sensible choice for some rooms. Just remember that you’ll need to install a window screen because bugs can find their way through gaps in the panels even when the window is closed. When winter hits, install shrink film or interior storm windows to keep drafts at bay. 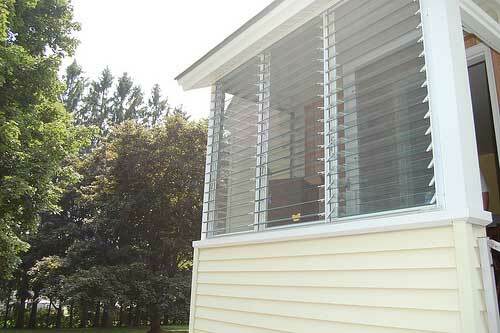 If you do use your A/C regularly, though, jalousie windows will raise your cooling bills. Jalousies are notoriously easy to break into. A would-be burglar can remove the panels quickly and quietly just by prying out the metal clips that hold them in place. There won’t be any sound of breaking glass to alert you or a neighbor. Thanks to their reputation, just the presence of these windows on your home makes it a target for burglars. You can improve a jalousie’s security by installing a metal window grille over the window’s exterior, but that affects the aesthetics of your home. Because jalousie window panels open horizontally, they collect more dust, pollen, and other debris than standard windows. 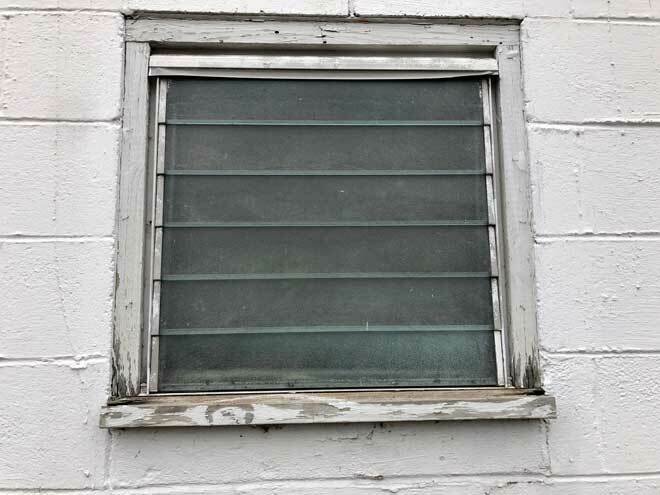 The window’s uneven surface means you can’t just wipe it clean as you could with most windows. To really get a jalousie clean, you’ll need to remove each panel by taking out the clips holding them. These windows also have more moving parts and are exposed to the elements more than other windows, so they’re more likely to develop mechanical problems. The operator and tracks are prone to forming rust that can make them stick. The panels break easily because they have no reinforcement. On the plus side, most repairs are simple enough to do yourself. It’s usually a matter of removing the damaged part and installing a new one. When they first came on the scene, jalousie windows were a boon to anyone living in a hot, rainy climate. With today’s efficient air conditioning, though, these windows usually do more harm than good in terms of comfort and energy savings. That said, they’re still a wise choice for enclosed porches, sunrooms, and other spaces where you want to enjoy natural breezes. They also add an authentic touch to a mid-century modern house, although they’re not well suited to most other architectural styles.